With a little help from our friends - TechHub Turns 4! Massive thanks to our awesome sponsors for helping TechHub turn 4 in style! What a beautiful bunch! Aviva, one of the UK�s leading insurers, is working with the StartUp community to create a series of exciting events that will offer StartUps the opportunity to showcase their talent and develop their business ideas. Long term friends to TechHub, the Dorsey team are enthusiastic tech lawyers who are passionate about working with start-ups and entrepreneurs, giving them amazing advice and support from the beginning stage and beyond. We had so much fun sponsoring last years birthday that we are coming back for another year to meet more TechHubbers and discuss their ideas and answer any legal questions over a beer. Davis Grant is a progressive and forward thinking firm who combine the experience and knowledge of a trusted advisor with a first class professional service. Established for over 50 years, Davis Grant ensure that each and every client receives and values a bespoke service, provided by a quality, high-trained and enthusiastic team. From start-up companies requiring hands-on mentoring to keep their business on-track, or internal systems strategy and implementation, to large corporate companies requiring boutique tax planning, estate management and further wealth creation, Davis Grant are able to offer a service which will be tailored your individual needs and continually exceed your expectations. DGIT was set up 3 years ago as a distinct company, to specifically attract and work with tech start-ups. DGIT also develops and provides bespoke financial software, including dashboards and sophisticated financial modelling. Steven Sandford together with the 3 Directors in Davis Grant work exceptionally closely with tech start-ups to ensure each company and founder is individually supported at each stage of their growth. 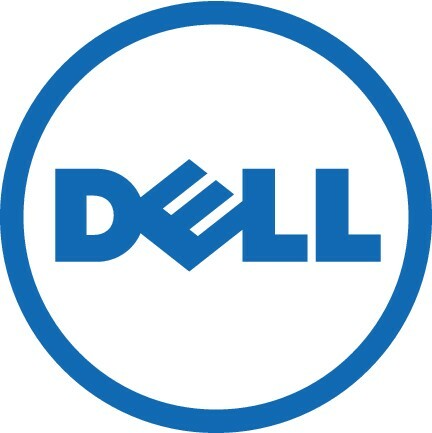 As the visionary outcome of a true entrepreneur, Dell is committed to help power the success of entrepreneurs by developing technology solutions that help their businesses increase productivity and grow. Dell listens to customers and delivers innovative technology and services that give them the power to do more. Rich Mix is located right in the heart of vibrant Shoreditch, close to the City and provides a wide variety of flexible spaces available for both corporate and private hire. Originally a vast garment factory, Rich Mix offers a range of highly versatile and creative spaces from 3 boutique cinema screens to top floor blank canvas event spaces. The flexibility of each space enables them to be easily transformed to host a range of events from corporate conferences and drinks receptions, to private screenings and Christmas parties. All their spaces are also available as filming locations. Rich Mix is a charity and social enterprise that offers live music, film, dance, theatre, comedy, spoken word and a range of creative activities for people of all ages and all cultures. More importantly, by booking an event here you will be supporting our education, arts and community activities which nurture new and local talent.